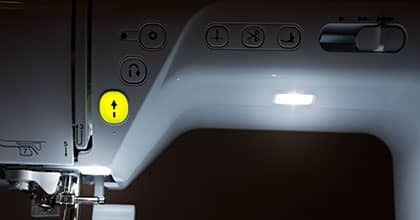 Let your creativity explode with the Innov-is NQ1400E embroidery-only machine from the Q-Series lineup. 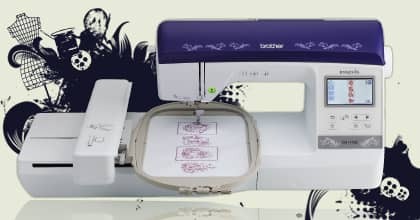 Choose from any one of the 138 built-in embroidery designs and enjoy editing ease with the ability to resize, rotate, reposition, and combine designs. 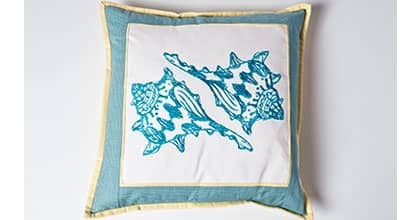 Embroider all your projects, everything from home décor to T-shirts, on the large 6″ x 10″ embroidery field. LCD Size (Horizontal x Vertical) inches 3.2" x 1.8"
Maximum Embroidery Area (X x Y) 6" x 10"
Machine Dimensions (H x W x D) 27.28" x 16.57" x 11.81"
Shipping Dimensions (H x W x D) 23.22" x 19.29" x 20.47"